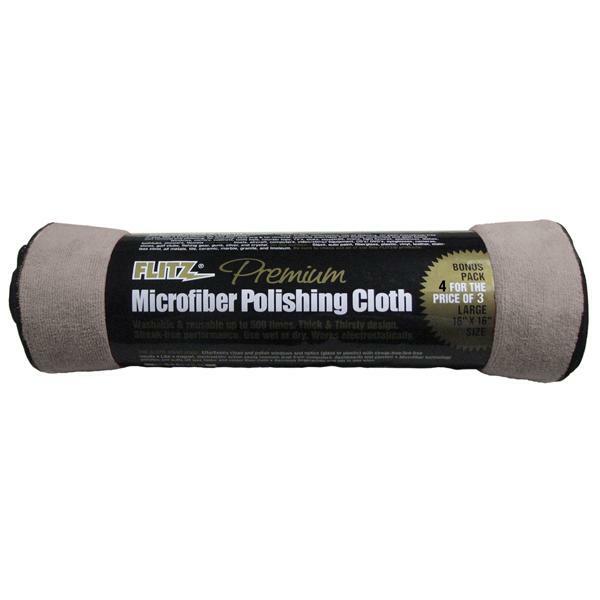 Professional cleaning demands professional towels, and there are none better than Flitz Starfiber microfiber polishing cloths. The extra-soft Flitz Starfiber microfiber polishing cloths are perfect for buffing, polishing, dusting, and drying. They electrostatically remove dust, dirt, and grime, absorb four times their weight in liquid, dry in 1/3 the time of ordinary towels, and are washable.